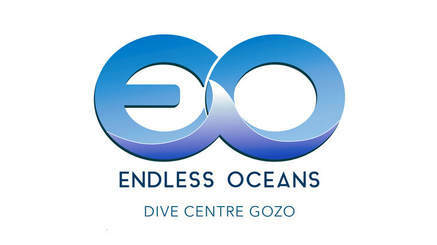 Endless Oceans Dive Centre Gozo offers two different types of guided dive packs to suit your vacation style, Fixed and Freedom. We have also created special offers for groups of 4 divers which you will find in the Families & Friends section. If you do not find a pack that fits you, or have special requirements, please feel free to contact us and we will work with you to create a diving package that fits your needs. It is important to note that all diving activities on the Maltese Islands require a medical self declaration to be completed, also all persons over the age of 60 will require a Fit to Dive medical from a doctor familiar with diving medicine. You can find a link to the medical form here and if you answer yes to any of the questions we suggest you have a medical before coming to Gozo to dive. For divers who want to dive, dive, dive, our Fixed Guided Diving Packs are the perfect solution. The pack includes an instructor as the guide, weights and air cylinder. Transport to and from the dive site is provided free of charge for divers. For divers with a more leisurely approach to diving Freedom Guided Diving is the obvious choice. Freedom dives can also be combined with Fixed Guided Dive Packs, the combined total number of dives is how the freedom dives will be calculated. For example a Fixed Three Day Guided Shore Dive Pack, 6 dives, plus 4 Freedom dives would total 10 dives. As such the 4 Freedom dives would be €35 each. The price per dive includes an instructor as the guide, weights and air cylinder. Transport to and from the dive site is provided free of charge for divers. For families and friends doing guided dives with us together we offer the following special deals. As always the price includes an instructor as guide, weights and air cylinder. Transport to and from the dive site is free of charge for divers.